We rightfully focus on temperature control for our homes most of the time, which usually means air conditioning systems for the majority of the year. (Heaters come into play during the coolest days of the year, but even in February, the weather tends to be hot rather than cold.) As important as temperature control is to a healthy and comfortable home, it’s not the only factor involved. Indoor air quality can play a huge part in your quality of life, including things like dust, excess humidity, and the proliferation of germs and bacteria. Luckily, there’s help available. The same people who take such good care of your air conditioner can install, maintain, and fix indoor air quality products that can help your home be as happy and healthy as it can be. Every home is different, and the specific product that’s best for you can depend on your circumstances. 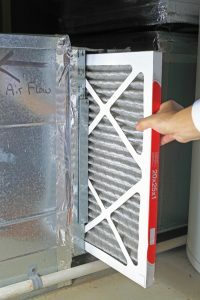 Here, however, are three products for you to think about, each of which can improve indoor air quality in different ways.